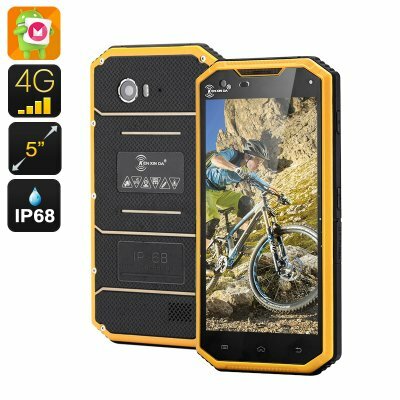 Successfully Added HK Warehouse KEN XIN DA PROOFINGS W7 Rugged Smartphone - Android 6.0, 4G, 5 Inch 720P, Quad Core CPU, Dual SIM, IP68 (Yellow) to your Shopping Cart. The KEN XIN DA PROOFINGS W7 is a tough Android phone capable of handling dust and sand and even being submerged in water. With Android 6.0 and 4G connectivity, it is also a truly intelligent device that will keep you in touch with the world, no mater where the adventure takes you. If you enjoy spending time outdoors, hiking, camping, sports and water, you’ve probably already lost your share of mobile phones to damage. The KEN XIN DA PROOFINGS W7 is different. Featuring IP68 waterproof rating, it can handle the elements really well and is ready for anything you may have in store. 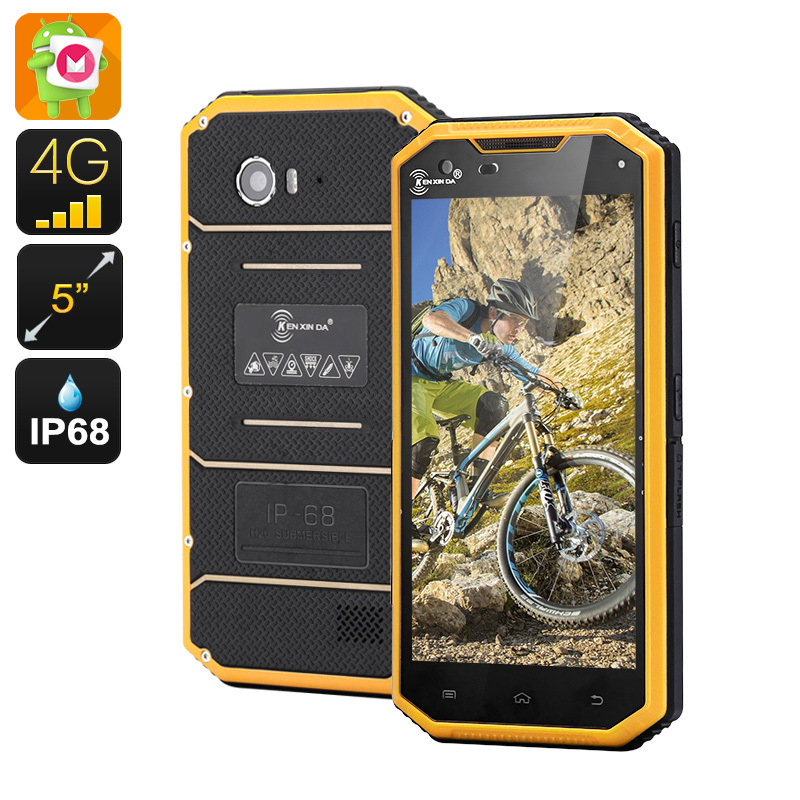 From snowboarding to trips to the beach, the 4G rugged phone can follow you on any adventure and come out unscathed. Enjoy smooth connectivity and fast internet with 4G and dual SIM support. Android 6.0 comes with a lot to offer as well. You will have a great interface, easy navigation, screen pinning , smart lock and more — plus, access to the Play Store. The 5 inch 720P screen is big enough to offer comfortable viewing, but also compact to make the phone easily portable. It fits into your back pocket and can be operated with one hand. The KEN XIN DA PROOFINGS W7 comes with a pedometer — a great feature for hikers that lets you track the number of steps walked. The 2800mAh battery is good for up to 6 hours of non-stop talk time and 120 hours on standby. With its tough build, nice design, modern functionality and a reasonable price tag, the KEN XIN DA PROOFINGS W7 is a great choice for those who enjoy an active lifestyle.